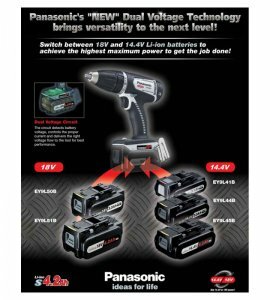 While some brands advertise that their cordless tools can be used with compact batteries and full sized batteries, Panasonic has gone one step further by making a series of dual voltage tools that accept both 14.4v and 18v batteries. Panasonic is also leading the charge with 4.2Ah batteries, the highest in the industry. So what advantage does a dual voltage tool offer? The only things that come to mind are price and weight. 14.4v batteries are typically smaller than 18v batteries and therefore weigh a bit less. As compact batteries seem to be popular, there must be a desire by end-users to cut down on the weight of their tools. Theoretically, the price of 14.4v batteries should also be cheaper because they have one less cell. 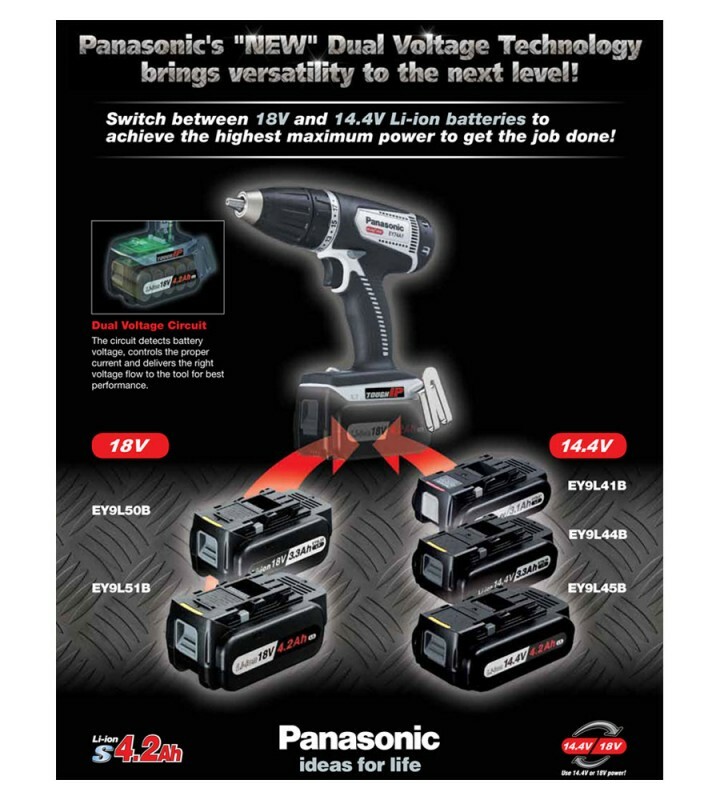 If you already owned a 14.4v Panasonic tool, their new dual voltage tools would also make it easier to selectively upgrade to 18v in a much cheaper way. But how many of you own Panasonic tools? While Panasonic tools are not as well known to the vast majority of tool users; to whom they are known, they are well respected for their ruggedness and durability. 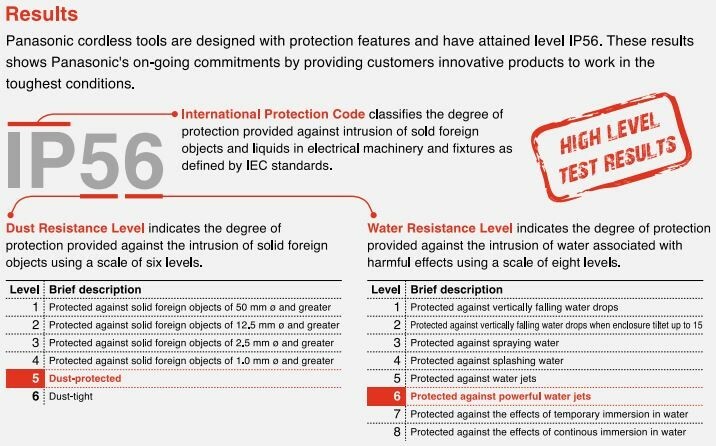 Panasonic has named their professional tool line Tough IP because they come with an IP56 rating which signifies that they are dust protected and can survive being blasted with powerful water jets. There are currently four tools available as dual voltage: a ½-inch Drill Driver (EY74A1LS2G), ¼-inch Hex Impact Driver (EY775A1LS2G), Impact Wrench (EY75A2X), and a Reciprocating Saw (EY45A1LS1G). Panasonic also has a complete range of power tools—from saws to rotary hammers—that are available in a few voltage options. If you are in the market for a new set of tools, give Panasonic a look. 2013 catalog below.